A small but powerful ring that is fantastic for cold hands and fingers, poor circulation in fingers, arthritis, aching and stiff joints! With this little ring, you can stimulate all the meridians (energy lines) in your fingers, and by doing so, all the organs in your body will also be stimulated, because their meridians travel out through your fingers. The five elements in the body will thus be set in balance. 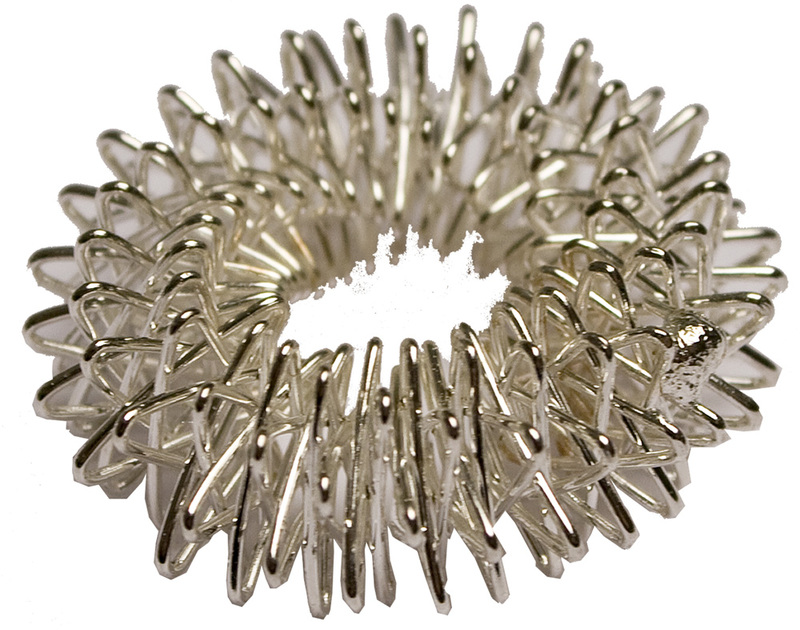 The Shakti Acupressure Ring is very easy to use. Massage one finger at a time by rolling the ring up and down your finger 30-60 times. Then, move on to the next finger until you have completed both hands. Your fingers will start feeling warm, alive and tingly as the blood circulation is increased. And so very convenient! Keep it in your pocket and use it whenever and wherever you want!